Aloha! Hawaii the Crossroads of the Pacific is known for its active volcanoes, spectacular scenery and diverse coastline, is home to Kona International Airport(KOA) on the west side of the Big Island of Hawaii in Keahole. 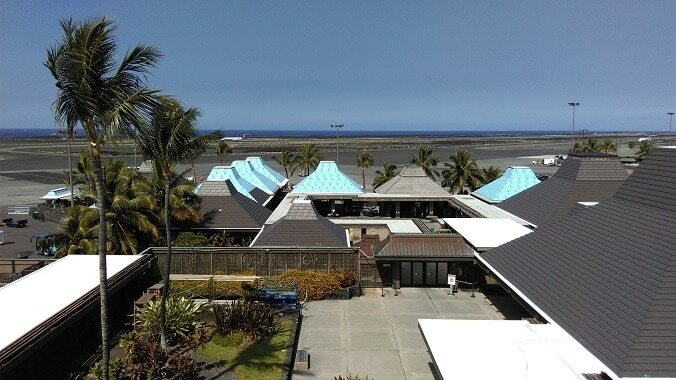 Situated on 3,450 acres, at an elevation of 47 feet it daily sees landings of 717, 737, 757, 767, and 777 aircraft, as well as smaller inter-island aircraft, and general private aviation. 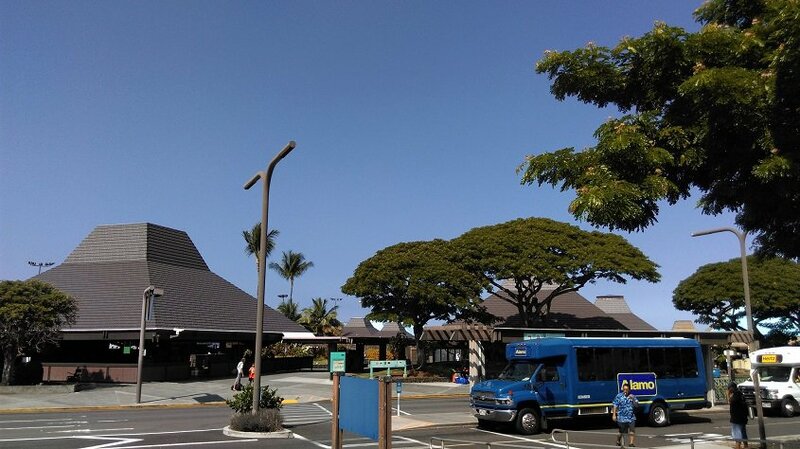 The airport accommodates domestic overseas, international, interisland, commuter/air taxi, and general aviation activities. 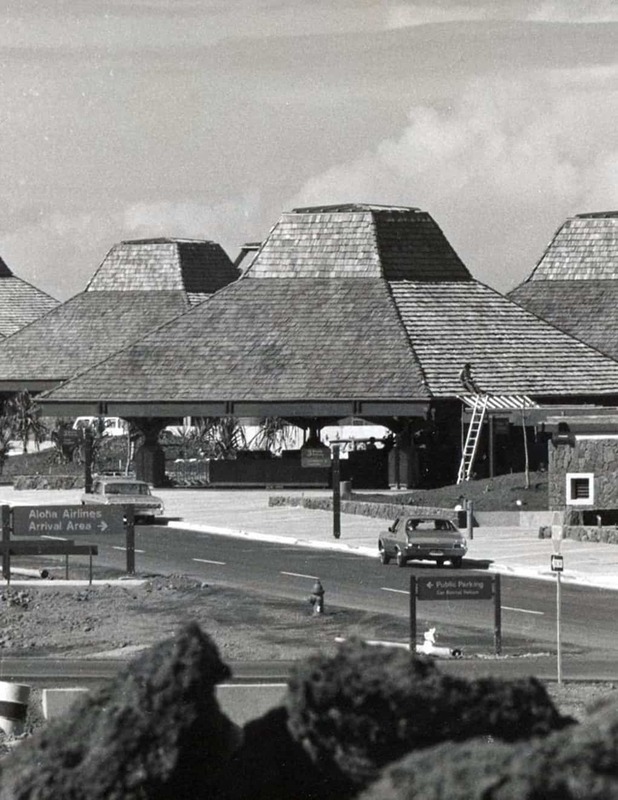 Long after other airports in Hawaiʻi converted their terminals to modernized multi-story buildings with automated jetway systems, the Kona airport has a very Hawaiian look and feel to welcome passengers. 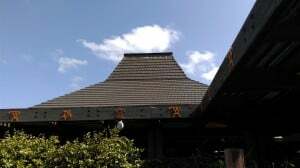 There are no large hallways or multistory buildings, just a collection of huts that greets visitors to let them know they have come to paradise. 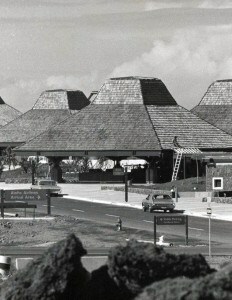 Further the airport’s charm, KOA is the only remaining major airport in the Hawaiian Islands where a mobile ramp is used to plane and deplane passengers. 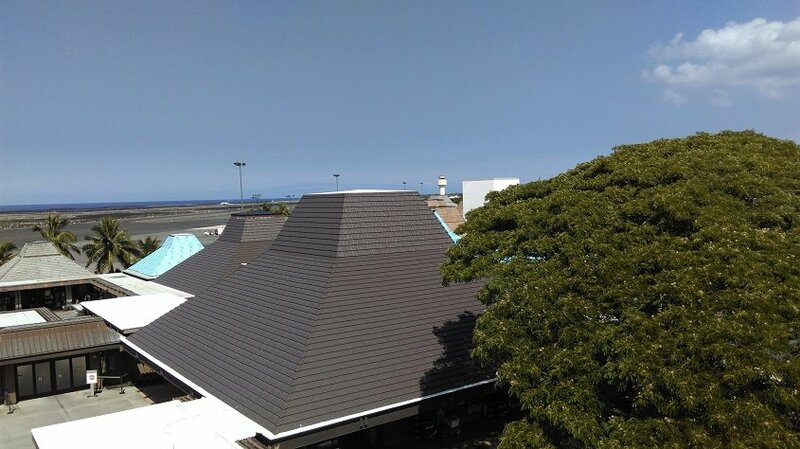 When the State of Hawaii’s Department of Transportation recognized it was time to reroof, preserving the look and feel of the terminal was essential. But there was no need to go back to wood and all its short comings. 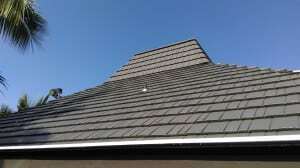 The project architects, Pacific Architects of Honolulu turned to aluminum Rustic Shingles in Mustang Brown made by Isaiah Industries and distributed in the Islands by Custom-Bilt Metals. Aluminum Rustic Shingles were chosen to protect to Kona Airport for a number of reasons. They will not split, rot, or mold, yet provide the beauty of a wood shake. 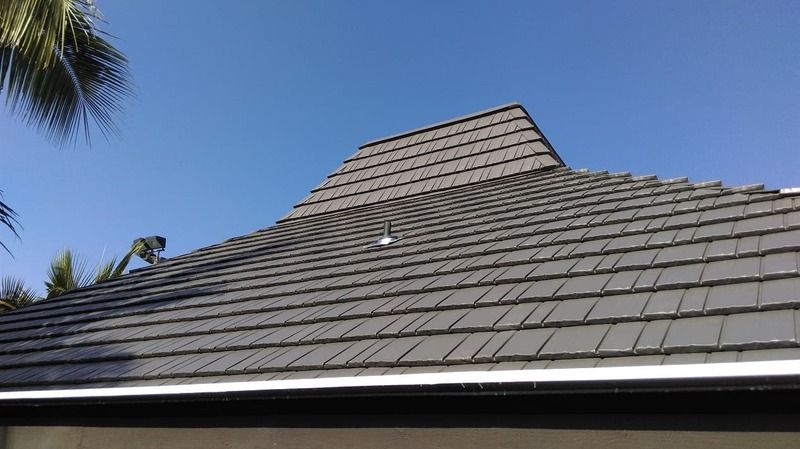 And because of aluminum’s high emissivity and our highly reflective coatings, Rustic Shingle can save up to 25% on energy bills for Hawaii. The Big Island also gets some big severe weather. Certified Construction of Honolulu installed the four-way interlocking Rustic Shakes panels. These panels will withstand hurricane strength winds, meeting UL 580 uplift tests and hail, having passed UL2218 Class IV impact resistance tests. They will also not burn and protects against flying embers from wildfires.